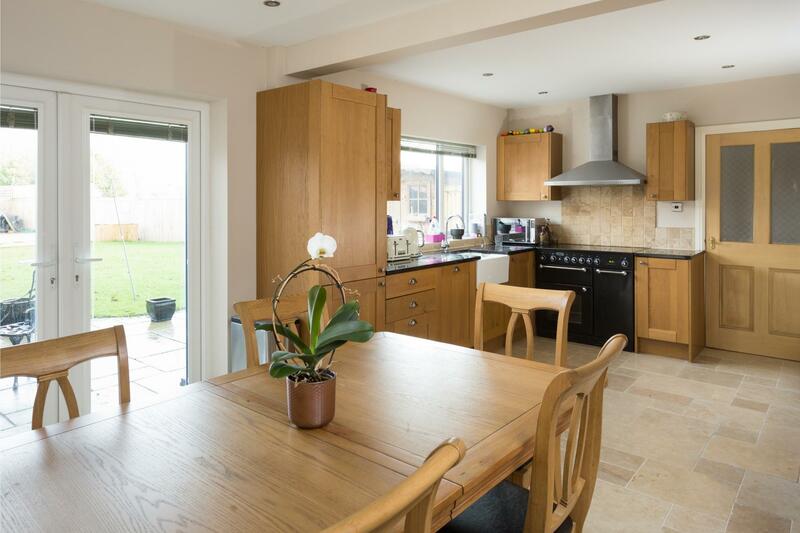 A surprisingly spacious and stylishly appointed detached 4 bedroomed Family Home, revealing well-proportioned accommodation with scope to further improve to individual requirements, set within good sized landscaped gardens with views towards farmland. With UPVC double glazing and oil-fired central heating. Reception Lobby, Reception Hall, Lounge, Study/Snug, Cloakroom/WC, 'L' Shaped Kitchen with Dining Area. First Floor Landing, Master Bedroom with Dressing Room (with plumbing for En Suite), 3 Further Bedrooms, Family Bathroom. Staircase RECEPTION HALL with woodgrain laminate floor. 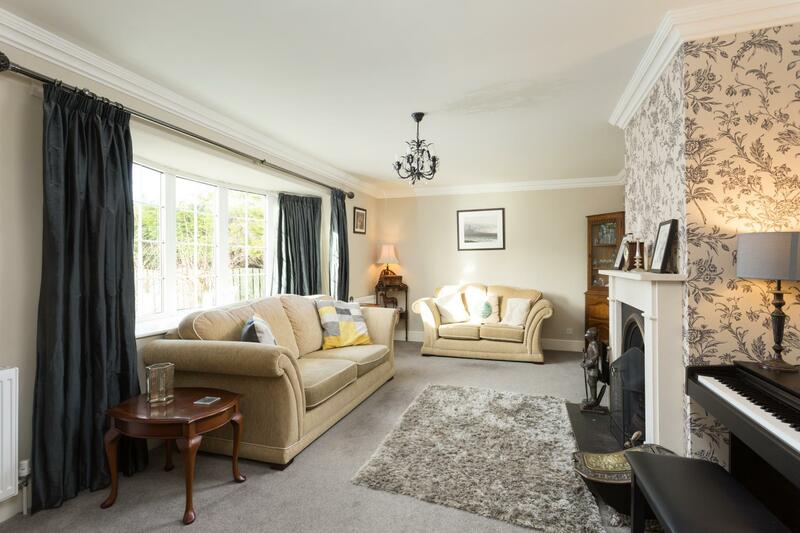 The LOUNGE has an oriel window overlooking the established front gardens, with attractive limestone Adams styled fireplace with horseshoe cast grate and open fire set on a slate hearth, moulded coving. 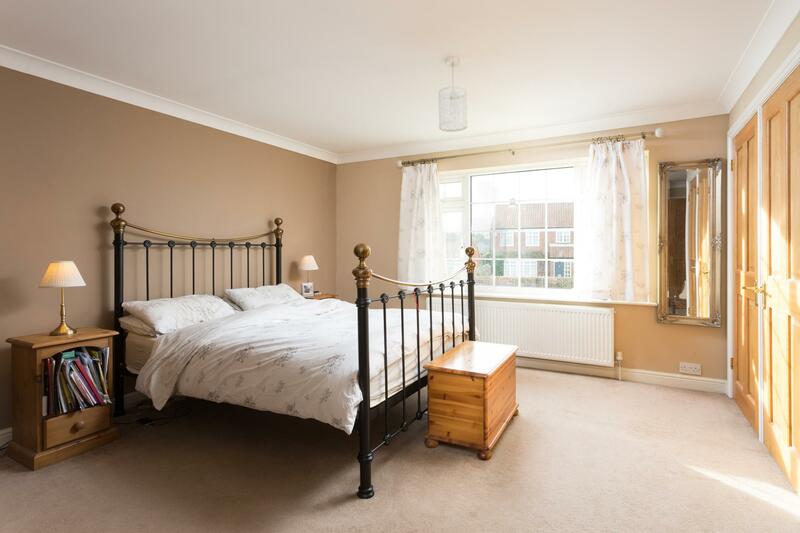 STUDY/SNUG with window to side and CLOAKROOM having a white suite, pedestal wash hand basin, low suite WC and dado rail. The 'L' shaped fitted KITCHEN with DINING AREA extends to 20'0 in length and is comprehensively fitted with a range of oak 'Shaker' style fittings comprising cupboard and drawer floor fittings, complemented by granite preparatory work surfaces, central Belfast sink unit with granite drainer, swan mixer tap beneath the wide UPVC double glazed window overlooking the generous lawned gardens, tiled mid-range and matching wall cupboards, integral fridge with freezer under, dishwasher, 5-ring Rangemaster with double oven and grill, stainless steel chimney style extractor flanked by matching cupboards, further range of built-in oak cabinets revealing cupboard and drawers. DINING AREA having French doors opening onto the generous patio and gardens beyond. From the Staircase Reception Hall, stairs rise up to the FIRST FLOOR LANDING with airing cupboard and loft access. 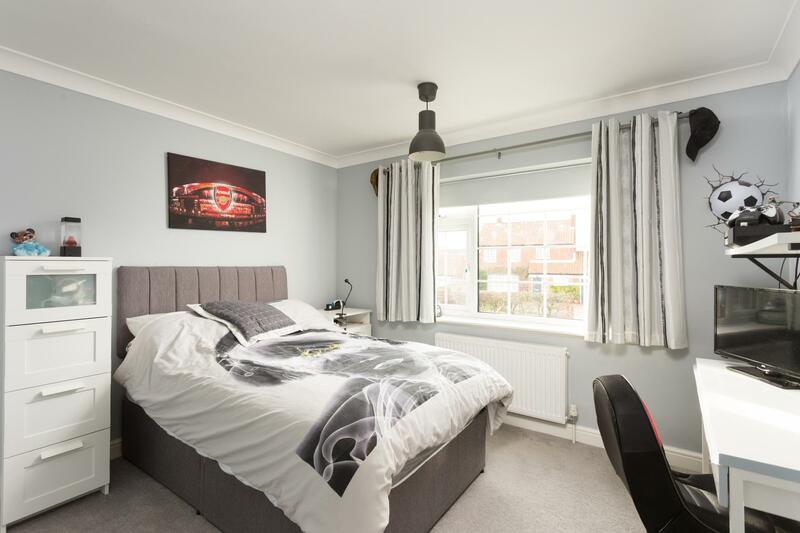 MASTER BEDROOM with front outlook, range of craftsman made fitted wardrobes having oak doors and revealing hanging rails, large walk-in dressing room/cupboard, En Suite Dressing Room (having plumbing to create an En Suite Shower Room/WC). 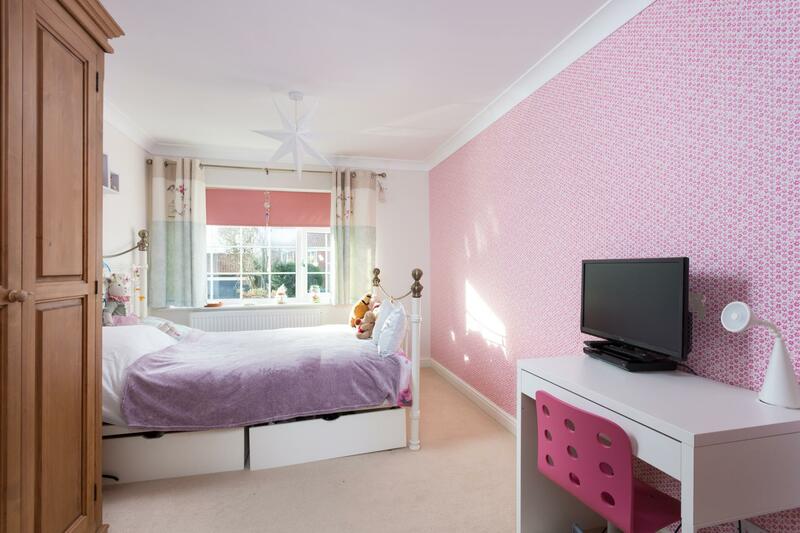 3 Further Bedrooms  BEDROOM 2 has a range of built-in wardrobes, BEDROOM 3 double sized and BEDROOM 4 enjoys farmland views, wardrobe cupboard with hanging rail. 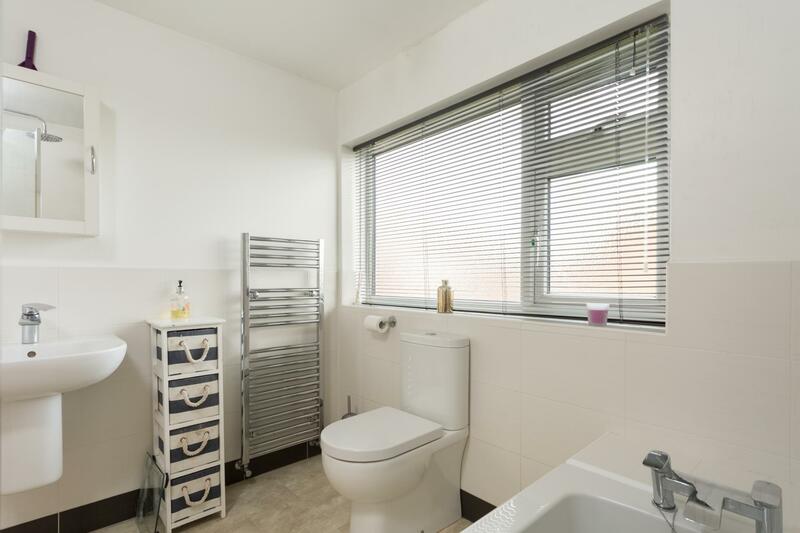 The house BATHROOM has been refitted with ½ tiled walls and comprising a NEW white suite with shaped and panelled bath with plumbed shower over, folding shower screen and overhead rose, wall hung wash hand basin, shaver socket and low suite WC. 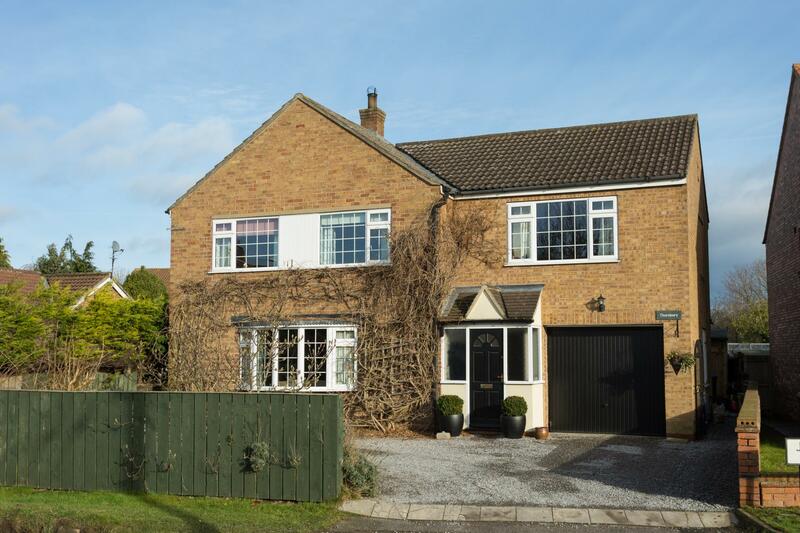 Thornbury enjoys a pleasant position with frontage to Stillington Road. A the front is a generous gravelled driveway, having established borders stocked with a variety of shrubs and flowering plants, including a Magnolia, flowering Cherry and Buddleia. An up and over door leads into a useful STORE ROOM (9'0 x 6'4) with space and plumbing for a washing machine, further space for a dryer and inner door to the Reception Hall. 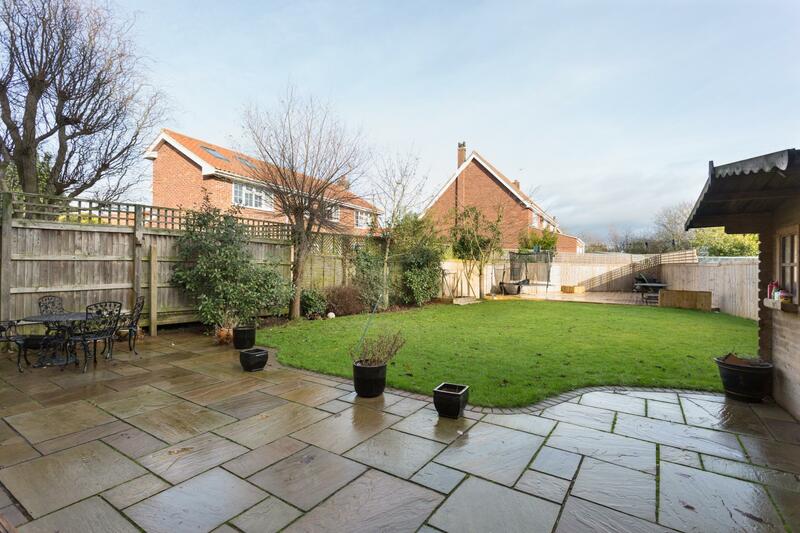 A wrought iron gate and path lead around the side of the house to a particularly good-sized rear garden having a stone flagged full width patio ideal for barbequing. Useful timber garden store. 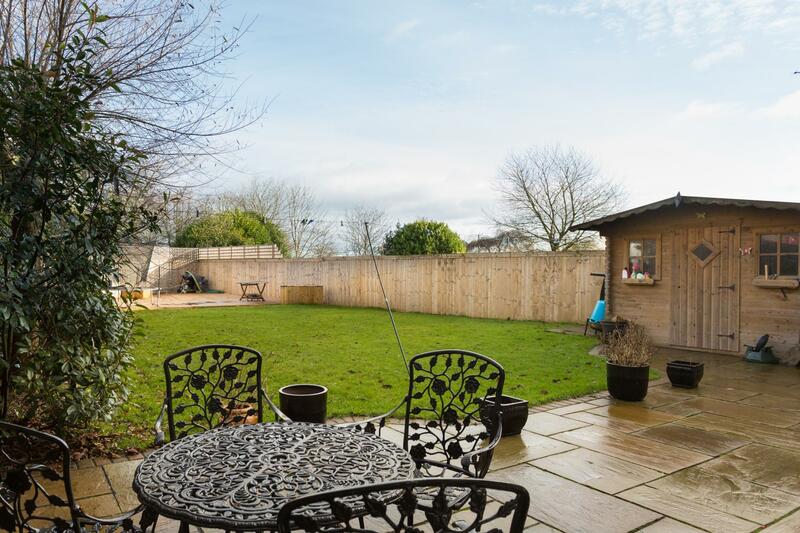 Beyond is a generous garden, laid to lawn, and a timber decked area. Sutton on the Forest lies approximately 9 miles north of York, a pretty former estate village which is still dominated by Sutton Hall at its centre. Many of the houses date from the 1700s and front the wide village street and grassed greens. The village has a reputable primary school, a well-established popular preschool play group/toddler group and bus service, with more extensive facilities available within the Georgian market town of Easingwold some 6 miles away. 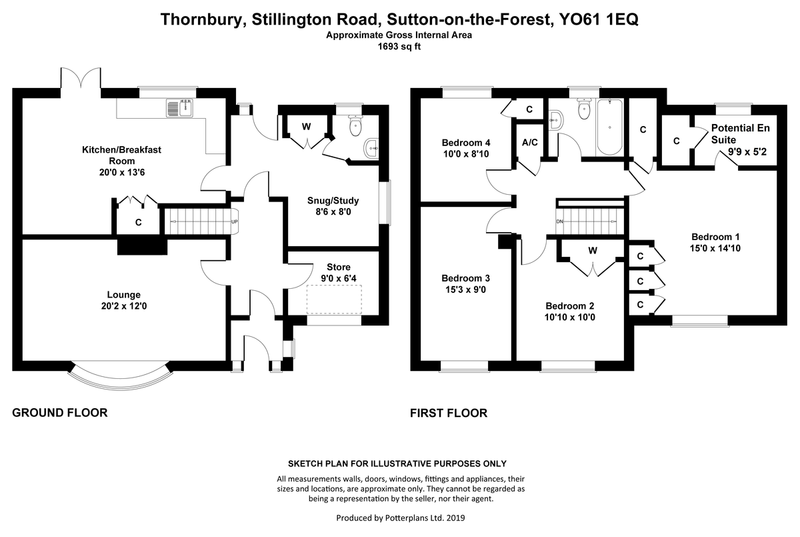 Sutton on the Forest has long been regarded as a particularly sought-after village location. Proceed out of Easingwold along Stillington Road, and turn right signposted Huby. Continue through the Main Street of Huby, and continue to Sutton on the Forest. Proceed along Main Street to the mini roundabout and turn left, whereupon is positioned on the right hand side prior to Sterne Way.